The Auction of Washington Wines is pleased to announce the lineup of honorees for its 30th anniversary weekend of events August 17-19, 2017. Sparkman Cellars is Honorary Vintner, Tom Merkle is Honorary Grower and Thomas Matthews, Executive Editor of Wine Spectator, is the 2017 Honorary Chair. SEATTLE (March 30, 2017) – The Washington State Wine Commission recommended more than $1 million dollars of viticulture and enology research funding for 2017-18 as part of the statewide wine research grant program administered by Washington State University. It’s a record amount dedicated to viticulture and enology research grant awards in Washington and will addresses vineyard and winery challenges and ultimately improve wine quality. The increase in this year’s nearly $1,053,000 program budget—up 20 percent from last year’s $869,500—will fund 18 viticulture and enology research projects that deal with vineyard issues, such as grapevine viruses and their vectors, vineyard health impacts from soil and water quality (salinity and sodicity), irrigation water savings and efficiencies and new spray application technologies. Enology topics include tannin management, wine quality impacts from vineyard mechanization, wine spoilage and native yeast characteristics. SEATTLE (January 31, 2017) – The Auction of Washington Wines today announced a $278,000 contribution to the state’s wine industry to support the viticulture and enology research program at Washington State University (WSU). The donation will fund research that benefits all grape growers and wine producers. The Auction is the single largest private donor to Washington State University’s Viticulture and Enology research program, accounting for more than one-quarter of their research funding. WOODINVILLE, Wash. –The 29th annual Auction of Washington Wines raised more than $3 million last weekend, including $1.9 million in live bids, during three days in Woodinville. At least 50 percent of all proceeds will benefit the Seattle Children’s Hospital and the Viticulture and Enology program at Washington State University. The event has raised more than $37.5 million since Allen Shoup, onetime CEO of Ste. Michelle Wine Estates, helped create it in 1988. WOODINVILLE, Wash. – The 29th annual Auction of Washington Wines was the biggest and best yet as the fundraiser at Chateau Ste. Michelle had raised a record $3 million by the time it wrapped up Saturday evening. 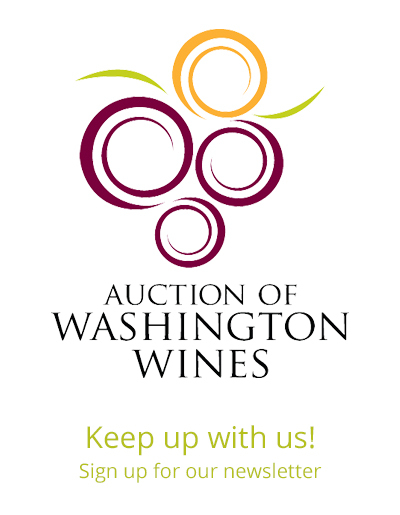 The auction supports uncompensated care at Children’s Hospital in Seattle, as well as the enology and viticulture program at Washington State University. This year’s honorary grower was Todd Newhouse of Upland Vineyards in Sunnyside. The honorary vintner was Mike Januik of Januik Winery. And the honorary chair was Jeb Dunnuck of Wine Advocate. The Auction of Washington Wines has raised more than $37.5 million since Allen Shoup helped create it in 1988 when he was CEO of Ste. Michelle Wine Estates. This year’s total topped the record of $2.5 million raised during the 2015 Auction of Washington Wines. Co-chairs for this vintage were Norm McKibben and Jean-François Pellet of Pepper Bridge Winery along with Seattle Times owners Frank and Charlene Blethen. View the full article and additional photos here! Since the Auction of Washington Wines began in 1988, more than $17 million has been contributed to Seattle Children’s Hospital to go towards Uncompensated Care, Autism, and Cancer Clinical Trials. Take a peek at this video to hear from families who have received support from Children’s. Research supported by Auction of Washington Wines helps avoid wine spoilage. Sweaty gym socks, rancid cheese, horse stables, barnyards or Band-Aid smells. Not enticing aromas for a bottle of wine you just uncorked. Years ago, wine spoilage was sometimes an issue for Washington’s young wine industry. It’s rarely a problem anymore, due in part to the longstanding support of research by the Auction of Washington Wines. Dr. Charles Edwards, food scientist and wine microbiologist for Washington State University, teaches wine classes as part of WSU’s Viticulture and Enology program. 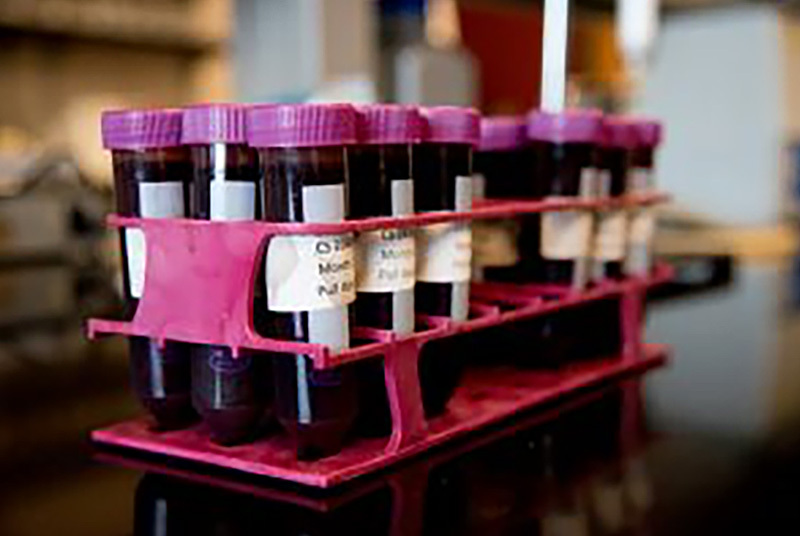 In addition, for more than two decades, he has focused research on alcoholic fermentations and spoilage microorganisms of concern to winemakers, including Brettanomyces, a wild yeast that poses major threat to red wine quality. Commonly called Brett, the yeast can produce sensory compounds that alter the palate and bouquet of wine. If you’ve ever heard a wine called “Barnyard Bordeaux,” it wasn’t given as a compliment. Yeasts are needed in winemaking to convert the grape sugars into alcohol—they’re the reason the end product is wine and not grape juice. Many types of yeast live on the skins of fruit, including Brett. In small doses, native yeasts can be beneficial. Some winemakers purposely encourage the growth of wild yeasts as a way to improve mouth feel and provide unique and desirable sensory qualities. But there’s a risk to wine quality if undesirable yeasts, like Brett, take over and dominate fermentations. Brett is most associated with barrel aged red wines. 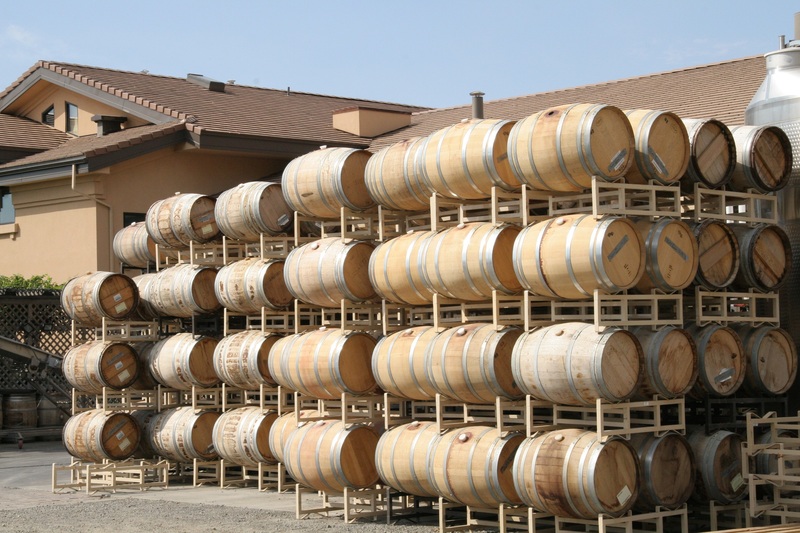 By better understanding how Brett grows in wine, Edwards was able to develop recommendations to help wineries limit spoilage situations. He currently has a barrel trial underway in which he’s taking Brett-contaminated barrels apart to learn the depth of wood penetration by the microorganism and determine the most effective method of barrel sterilization. The research program of Edwards has helped Washington winemakers improve wine quality and spare countless wines from becoming Barnyard Bordeaux. Catch up with Norm McKibben and Jean-François Pellet of Pepper Bridge Winery as they discuss the start of the vineyard and winery, and growth of Walla Walla. Hear their thoughts about the great work being done by our beneficiaries, and excitement about the future of the Auction of Washington Wines. The Auction of Washington Wines’ financial support of viticulture and enology research can be likened to the relationship between venture capitalists and startup tech companies. New startups have potential to change the world (think Google and Facebook), while viticulture and enology research has potential to change the wine world. The Auction of Washington Wines (AWW), with its recent $200,000 donation to Washington’s grape and wine research program, is the largest non-governmental contributor and represents more than 20 percent of the program’s budget. The donation will help fund 13 projects in 2016-17, projects led by Washington State University scientists totaling nearly $870,000. The research includes a variety of topics including irrigation efficiency, optimal soil health, technologies to combat insects and diseases, wine spoilage, native yeasts and fermentation, and studying smoke taint in wines. This contribution serves as seed money and allows the wine industry to fund a mix of projects—tried and true and proof of concept. Though the majority of the research budget is dedicated to solving current issues like pests and diseases and improving wine quality, the Auction’s research contribution provides additional monies to help the wine industry stay on the cutting edge vineyard and winery technology. An example of the importance of the seed money is research currently funded by AWW exploring an innovative way of delivering irrigation water to vine roots through underground tubes. The revolutionary concept has potential to improve irrigation efficiency by reducing evaporation and weed growth under vine rows and helping stretch dwindling water supplies. The Auction of Washington Wines is pleased to announce the lineup of honorees for its 29th annual weekend of events August 18-20, 2016. Mike Januik, founder of Januik Winery is Honorary Vintner and Todd Newhouse, founder of Upland Vineyards is Honorary Grower. It is no surprise then that one of the world’s ten “Masters of Merlot,” as Wine Enthusiast magazine deemed him, has also mentored countless rising Washington winemakers, many who worked alongside him during his ten years at Chateau Ste. Michelle. During his time there he established the winery’s single vineyard and reserve programs. Mike crushed his first grapes under the Januik Winery in 1999, the same year he began consulting on vineyard plantings at Novelty Hill’s estate vineyard Stillwater Creek. It was at Mike’s urging that the vineyard was planted with one of the most innovative clonal selections in the state. He has been making Novelty Hill’s wines since the winery’s first vintage in 2000. Todd Newhouse is the latest of a long generation of farmers in the Yakima Valley with a rich history of agriculture. The patriarch of the Yakima Valley Newhouse’s family, Todd’s great-grandfather John Newhouse, first settled in the area and labored in the fields and irrigation canals more than 100 years ago. After taking over the family business in 2008, Todd filed to name the Snipes Mountain growing region as a distinct American Viticultural Area (AVA). In 2009, the federal government formally recognized the region, thanks to the joint efforts of Todd and Washington State University scientist Joan Davenport. This gave the area and the Newhouse family significant recognition and credence as a thriving AVA in Washington state. Today, you can find Todd on the farm. He serves as the vineyard manager at Upland Vineyards, where he operates vineyards and orchards on the land once plotted by agricultural visionary W.B. Bridgman in 1917. They grow and produce wine grapes for more than 30 different wineries, from small tasting rooms to some of the largest operations in the state. Todd, along with his wife Amber, own Upland Winery, which was started in 2007. Todd values the history and legacy of the Washington state wine industry, but also the future. He has served on the Washington Association of Wine Grape Growers for several years.